Study in Netherlands is considered more and more by international students in recent times. 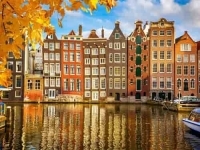 As the Best Universities in Netherlands operating most of the courses in English, Netherlands is a promising Study Abroad destination. What if we say there are scholarships that will make your education effectively free in Netherlands? Yes, you have heard it right. 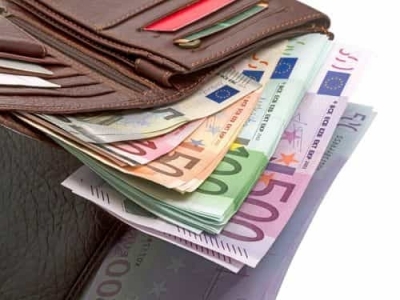 Here is the list of scholarships for international students that will allow you to Study in Netherlands for free. The scholarship is applicable to the students who are eligible for masters in Netherlands at Maastricht University (World Ranking 211). 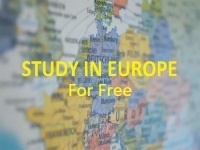 Citizen from outside EU/EAA countries and eligible for study permit in Netherlands. Must be eligible for that Master’s Program. Have not done primary, secondary or tertiary Education in Netherlands. Excellent result in the previous Education, Academic Excellence. The application will be accepted if you fulfil all the criteria and among the top 5% of the applicants. Students accepted at Delft Technological University (World Ranking 52) are eligible for TU Delft Excellence Scholarship. Fields of Study: Any MSc Program at TU Delft. Full Fees Waived for the Program at TU Delft along with living expenses for 2 Years. Must be among the top applicants at TU Delft. The Erik Bleumink Scholarship is applicable to the candidates who are accepted at University of Groningen (World Ranking 120) for a Master’s Degree. 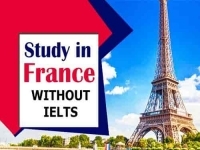 *The Expenses are for the duration of the program, which can be for one or two year(s). Have no other means of financing Study Abroad. Amsterdam Excellence Scholarship is awarded to the students who are willing to pursue a Master’s Degree at University of Amsterdam (World Ranking 57). The scholarship might be extended for second year for a two-year Master’s program at University of Amsterdam. Have chosen relevant program, academic excellence and ambitions are also considered. The above scholarships do not cover the full amount of tuition fees, but can nevertheless provide immense help to your study abroad funds. The amount you can get is as high as £10,000, and the eligibility criteria vary for each of them.